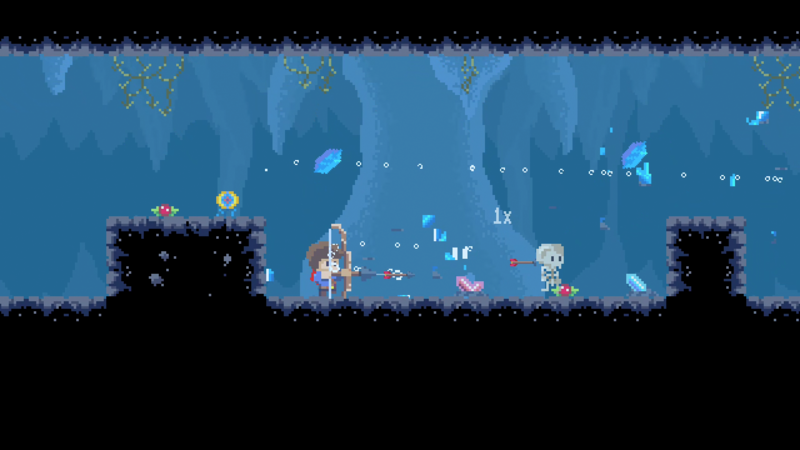 Publisher Blowfish Studios has announced JackQuest, a 2D, sidescrolling metroidvania-style game from developer NX Games, will be coming to PlayStation 4 in 2018. JackQuest has a simple story. Jack explores the lair of an evil orc, Korg, in order to rescue his love, Nara. Jack is accompanied by Kuro, a prince who is cursed, and trapped in a sword. In true metroidvania fashion, Jack will explore Korg’s enormous, mysterious underground base, where he will solve puzzles, find powerups, fight bosses, and gain new abilities that will help him explore even further. JackQuest boasts a quick pace, with combat and progression meant to be breezy and consistent, with plenty of secrets and challenges tucked away for more serious players. The metroidvania space has had quite a banner year in 2018, with Dead Cells making a near-mainstream impact, along with the likes of Timespinner, a Bushiden Kickstarter project, and serious port of Castlevania: Symphony of the Night. JackQuest looks to stand out with its cute art style and faster-paced gameplay loop. JackQuest will be launching sometime in late 2018 for the PlayStation 4, the Xbox One, the Nintendo Switch, and the PC.